Let’s face it, managing cryptocurrencies isn’t easy. Owning cryptocurrencies means being your own bank and taking complete responsibility of your funds. Here, unlike the fiat world, there is no bank manager or cashier to will listen to your grievances or revert your transactions. Whereas, transactions in the crypto world, where we trade in Bitcoins and other altcoins, are irreversible. That is why one needs to take be extra careful of their private keys or seed keys so as to make sure their funds are secure. You can also read my article on the basics of Bitcoin private keys, just in case if you haven’t yet: Bitcoin Private Keys: Everything You Need To Know. Also, because of this critical characteristic of cryptocurrencies, they are often called the agents of true monetary sovereignty as defined by Trace Mayer – a pioneer Bitcoin proponent. But despite all these facts, many newbie investors deal with their private keys or seed keys in a very careless manner and hence jeopardize the security of their funds. Therefore I thought it was important to share ‘where you should store your private keys’. If you own cryptos in small numbers, you might want to look at mobile wallets or desktop wallets like Mycelium or Electrum. 2. Never keep private keys online, or in a mail or in the cloud because they are most susceptible to getting hacked there. 3. If you don’t have a hardware wallet, you can temporarily keep your private keys or seed in an offline flash drive or HDD. But these options are only safe as long as they aren’t in the hands of an attacker. One can also use offline drives that encrypt the data stored on them. This way you can add one more security layer for accessing your coins. 4. Another effective way to store your private keys is to record them over a Cryptosteel. Cryptosteel is stainless steel tool that allows you to store up to 96 characters worth of confidential information. And in this case, this confidential information can also be your private key which is always less than 96 characters. This is a very secure way to handle your private keys because Cryptosteel is fire and waterproof. But this level of security doesn’t come free. Cryptosteel costs about $100. 5. 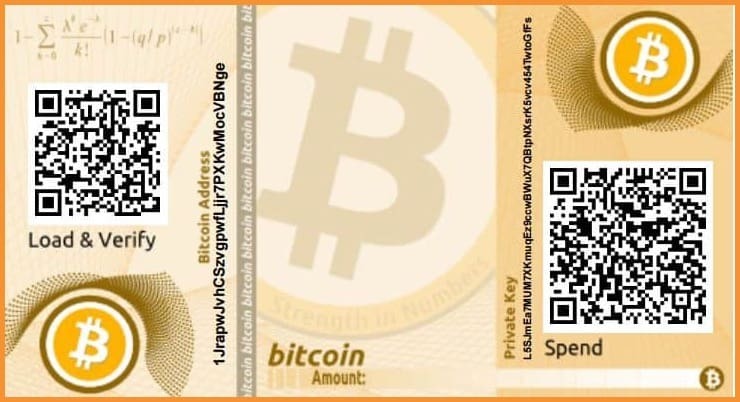 For those who don’t want to spend money in securing their coins by getting a hardware wallet or Cryptosteel, the other option is paper wallets. A paper wallet is free and is just a piece of paper that prints the pair of private and public keys on it. 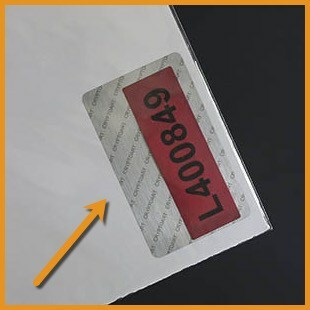 But to make it more secure you need to laminate it and store it in a vault. Another impressive way of storing your private keys is in an art piece. 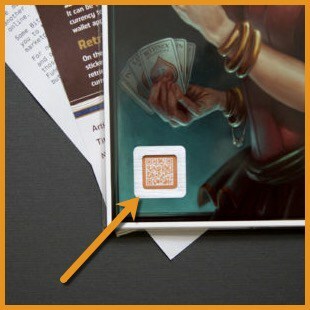 CryptoArt.com makes art masterpieces that have QR code of Bitcoin public address on the front and private keys on the back under a secure sticker. See this video to understand more about it. It is a form of cold storage that can disguise itself against the attackers. One can also inherit cryptocurrencies in a royal way from their ancestors. 7. Never take a screenshot or picture of your recovery seed or private keys. It becomes really easy for someone to simply hack into your computer/mobile and copy it. Instead, store them on various other cold storages as we have discussed in this article: What Is Cold Storage In Cryptocurrency? 8. Lastly, put your Bitcoin recovery keys or private keys into your will, or tell your most-trusted family member how to find your key in case you are not around. I am saying this because there have been such cases where a person passed away leaving the inheritor with no idea as to how to unlock the Bitcoin funds. This is dangerous territory, however, because if you have a significant amount of holdings, some people (even some trusted family members) may want to harm you to get that money. See this post. Having said that, I hope these insights will help you in making the best decision for yourself and also help you secure your cryptos for the times to come. Your turn: What techniques or tools do you use to keep your cryptocurrencies safe? Where do you store your private keys? What other tips can you add to this list? Let me hear your thoughts in the comments below! Also if you have a question regarding keeping your cryptocurrencies secure, feel free to ask. And if you find this post useful, share it with your friends on Facebook & Twitter! Why not type them out with an old fashioned type writer and then put the paper (or photocopied duplicates) in a safety deposit box and/or safe with your other important documents? No hacker could EVER get that info online! That’s why I also mentioned a “Safety Deposit Box” like from a bank.